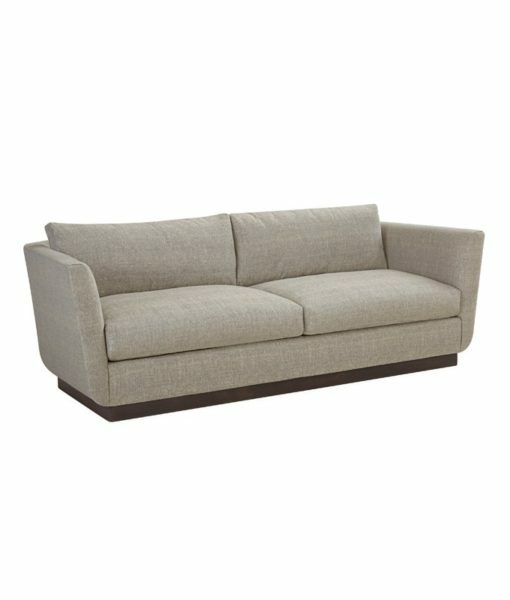 Check out this extremely comfortable shelter arm sofa. The slightly flared arms and the wooden plinth base are great design aspects of the 7053 collection. The 7053 collection includes a loveseat and two sofa sizes. The pieces are available in a wide variety of fabrics and finishes.